Behind the Altar is here! I really did write the first draft of a contemporary romance in thirty days in the Romance in a Month class taught by Rachelle Ayala. I’m enrolled for the September class, but the next novel in the Behind the Love Trilogy is slow going. I hope you enjoy my first venture into writing a romantic novel. Please scroll down to the bottom to enter the raffle for a paperback version of Behind the Altar. Leah Bryant’s life satisfies all her needs. Her engagement to Jacob Davis, minister of the Sunshine Christian Church, gives her the security she requires after living in a car during her teenage years. She runs a food kitchen out of the church for homeless vets who are living on the banks of Deer River. All is perfect until the day her future mother-in-law Geraldine tells her the church is shutting down the kitchen, and Dean””Jacob’s brother””rides his Harley into her heart. Leah’s world begins to crumble as she falls into Dean’s muscular and tattooed arms. Dean, who’s been away from his home for ten years, finds himself irresistibly drawn in by Leah’s natural beauty and genuine goodness. As they fight to stay away from one another, Leah and Dean keep finding ways to be together. The more they fight the attraction, the harder it is to stay apart. Will Leah go ahead and marry Jacob despite Dean’s haunting her every thought? Will Dean exact the revenge he came home to hand out? And will Geraldine manage to keep control over the church, Jacob, and Leah? 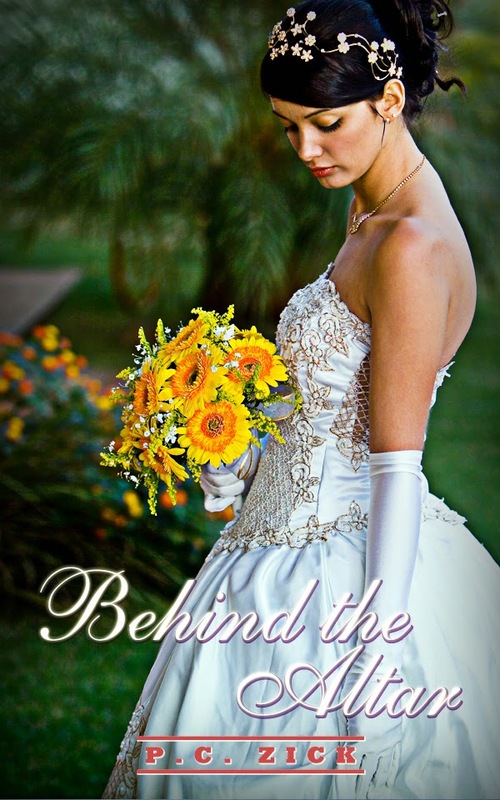 It will all be determined in Behind the Altar, a romantic story of forbidden love. How can the sweet and innocent Leah make sure her fight to feed the homeless in the small town of Victory, Florida, is successful? The arrival of Dean, her fiance’s brother, confuses the matter even more as the two are uncontrollably attracted to one another. Welcome to Author Wednesday. 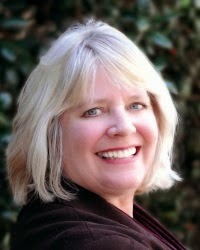 Today I welcome science fiction/mystery writer, Therin Knite. Therin is a college student, whose first novel Echoes was published this year. Welcome, Therin. It’s exciting to have such an accomplished college student as a guest today. It makes me wonder when you first discovered your voice as a writer. Age fifteen. I had a grand idea for a story one day and realized it might be nice if I tried to write it down instead of just thinking about it. So I started my first manuscript. Seems like forever ago now, given how much I’ve been through since then. I was a sophomore in high school. Now I’m a graduating senior in college! That’s a great accomplishment for a teenager. Do you have any specific writing rituals established yet? Let me see. 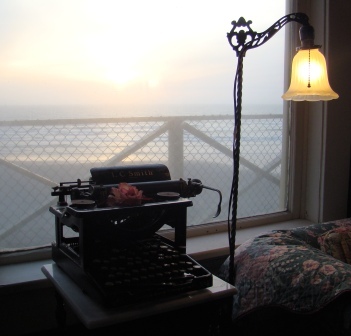 I rewrite the beginning of a novel at least three or four times before I get it “right.” Then I move on to the rest of the story, using the beginning as a reference for how to write the rest. Also, I generally write at night but edit during the day—I feel more creative at night and more serious and disciplined during the day, so I arrange my work accordingly. That sounds like a good plan for success. Describe your current projects. I’m currently working on a contemporary mystery/thriller, which I intend to be the first in a short series. I’m also working on the sequel to Echoes, called Epitaphs. The mystery/thriller is in the draft stage, and Epitaphs is in the planning stage; my goal is to have the mystery/thriller out by the end of 2014 and Epitaphs out by early 2015. You’ve set a very ambitious schedule, but I’ve no doubt you’ll achieve it. Does setting play a very large role in your novels so far? Setting in my books usually defines culture and thus defines how my characters perceive the world. It also influences their personalities. I go for settings that have complex social implications, like societies recovering from apocalyptic situations or experiencing rapid technological advancement, things that set up questions about identity, human nature, and the “correct” path for the human race. These questions usually filter into my characters’ personalities and back stories. You started with science fiction and are working on a thriller. Are you planning to continue writing in these same genres? I’m hoping to branch out into three different genres eventually: sci-fi, mystery/thriller, and urban fantasy. I have the first one already and a little of the second, since Echoes is a sci-fi mystery, but I’m looking to write more contemporary mystery/thrillers as well. I have a thing for police procedurals. For the urban fantasy—well, that’s my favorite brand of fantasy, and I have a few ideas brewing for that one. I have to say these aren’t my genres, but I will have to check them out. I’m often pleasantly surprised when I step out of my comfort zone. What’s the best thing said about one of your books by a reviewer? One thing? Almost everything my reviewers say makes me happy, but if I had to choose one comment, I’d say the reviewer who claimed I was in the top one percent of all Indie books he’d ever read. What a way to make me smile. That would make me smile, for sure. You need to print that and put it near your writing space. How did you choose the title for Echoes? Has it always been the title? I wanted something simple and easy to remember because the first book is also the name of the series. It’s had the same title since the beginning—Echoes—because that’s the name of an important concept that defines the series as a whole. I’m always asked how long it took me to complete a novel. So here it is thrown to you! How long do you estimate it took you to take the book from an idea to a finished, published work? Eighteen months. I don’t think that’s too bad for a first book, but I’m going to try and cut down my write-to-publish time for the next few. I had a lot of rewrites and editing to do for Echoes, and I ran into a lot of unexpected pitfalls. I think it was a good learning experience, seeing how different missteps cost me time and effort. Hopefully, I won’t make quite as many the next time around. That’s not too bad from what I’ve heard and experienced myself. It’s been a pleasure to get to know you, Therin. And congratulations on Echoes and your college achievements. I hope you’ll come back when your next book is published. About Therin Knite: Therin is a 22-year-old college senior who occasionally writes speculative fiction and has the odd delusion of literary stardom. Knite lives in a humble little place known as the Middle of Nowhere, Virginia and spends every possible second of free time reading books and writing what may possibly qualify as books. Echoes is Therin Knite’s first novel in what will be a futuristic sci-fi/mystery series. I woke this morning thinking today would be a day filled with nice things. I can’t say why I felt this way, but I did. A few minutes ago one of the many nice things happening today appeared in my inbox. Sometimes when we just keep plodding along despite our feelings of failure and inadequacy, life will boost us back up and show us that we really are on the right path. I’ve had a few weeks of feeling as if I wasn’t getting anywhere as an author. Whenever I felt most discouraged, I kept writing and I kept promoting my current works. This award is just for a day, but the good it does to my heart, mind, and attitude will last far longer. Let this be a lesson for those of you out there pursuing your passion. Keep going and find the rewards for your work in the small satisfactions that sometimes come in small packages to fill the well of creativity. The main characters in most of my novels share at least one characteristic. They all write for a living or aspire to be writers. 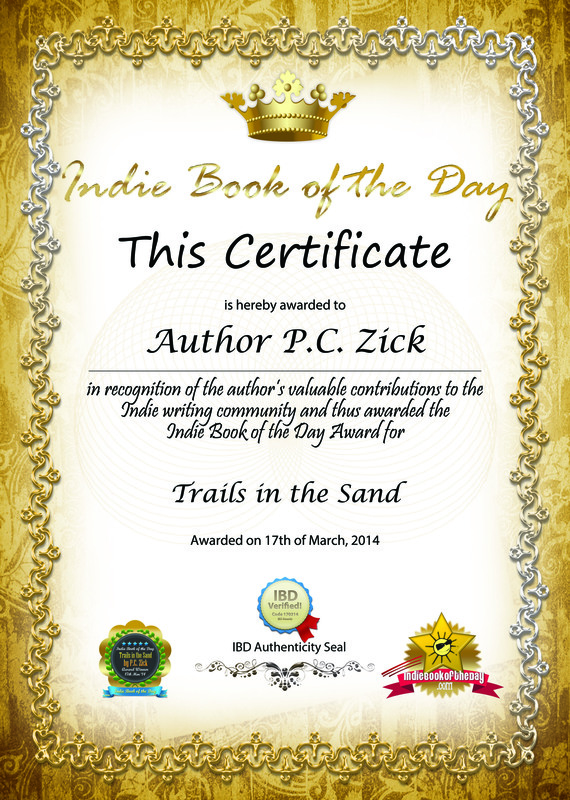 In my latest release, Trails in the Sand, the main character is an environmental writer. The choice of career is no accident on my part, and as an author, I’m not an exception for creating characters who write. Pat Conroy’s Beach Music is the story of travel writer Jack McCall who escapes into his work to lose the past. In Little Women by Louisa May Alcott, Jo March’s passion for writing fuels her until she marries the professor. Thanks goodness, we’ve come a long way since the novel’s publication in 1868. In Trails in the Sand, environmental writer, Caroline Carlisle, writes about the wildlife impacted by the Deepwater Horizon oil spill. The wildlife experts in Florida choose her as the only reporter allowed to cover the sea turtle nest relocation project, which involved digging up nests and moving the eggs to the Atlantic coast to save them from the oil. She’s able to observe the momentous event firsthand. Much to her surprise, she begins to uncover secrets about her family in the pursuit of the sea turtle story. Caroline’s status as a reporter allows her special access, which helps unfold the plot. Writers uncover information and find ways to expose culprits. In the novel I’m currently writing, a minor character is a newspaper reporter. The main character relies on him, not only for information about her husband’s murder, but she also gives him information in hopes he can help solve the mystery. Writers are resourceful with contacts in high places, which can help move the plot along. Most reporters, in the real world, keep their sources close. In the case of Trails in the Sand, Caroline Carlisle speaks directly to wildlife officials, receives press releases, and enjoys loyal, established relationships with her sources, which brings her into the inner workings of government during the crisis. She also knows how to do research, which again is a plus for plot movement. There’s another reason for a writer to use a writer as a character. Research makes up a large portion of my life when I’m working on a novel. Even though the author makes up the plot details, the details still need to be accurate and plausible. When I wrote about sea turtles and their habits in Trails in the Sand, I needed to research how long they lived, where they nested, how they made a nest on the beach, how long the eggs incubated, and what happened after the hatchlings emerged from the eggs. It took me days to research the details to write one scene where a sea turtle comes ashore to lay eggs as two teenagers watch on the beach. I didn’t need to research the life of a writer because I’ve lived it. I’ve been a journalist. I’ve traveled for the job. I’ve worked with scientists, and I’ve interviewed many people in very strange situations – a man who owned a pack of hairless dogs he kept at his home in a rusty and remote trailer in north Florida comes to mind. Some of my favorite people are writers, and they qualify as “characters” by many standards. I might as well use them in my stories. They make good company in a rather isolated career. Momma stared at me as if I’d lost my mind. And I guess in the world of Calico, Florida, I did stand out as a little odd. I spent long summer days down on the riverbank reading, writing, or observing the world around me. Nature became my home, and the turtles, frogs, and birds of the Calico River that bordered our town were my friends. Welcome to a special edition of Author Wednesday. Since I didn’t have any authors lined up for the last two weeks in December, I thought I’d take a chance on answering my own interview questions. I found the experience slightly weird, but fun. Here goes. Patricia welcomes her alter ego, P.C. Zick, to Author Wednesday. Welcome, P.C. You’re looking mighty fine this morning. I know you’re a great admirer of Rachel Carson (Silent Spring). She once said she never chose a subject because as a writer, the subject chose her. Describe a time when a subject chose you. I saw a docu-drama based on Rachel Carson’s life, and when the actress portraying her spoke the line about a subject choosing the writer, I cried. It described perfectly how I feel about my writing, particularly fiction. My husband, the engineer, was with me and for the first time, he understood my writing passion. I thought I’d have to explain to him why I was crying, but when I turned to him, he had tears in his eyes, and I knew he understood. Sometimes a line will come to me during sleep. That happened with Tortoise Stew. I woke one morning with the first line in my head without even knowing I was going to write a novel about Florida developers and environmentalists gone mad. The line was “The bomb sat in a bag on Kelly Sands’ desk for an hour before she noticed it.” I even had the character’s name choosing me. That remained the first line of the book throughout all the revisions. My latest novel Trails in the Sand came to me in a similar manner although I changed the first line of that book many times. However, the first line, “My family didn’t understand when I married my sister’s husband,” remained a part of the plot of the book. What messages or themes do you try to convey to your readers? I like to write about redemption to show it’s never too late to turn a life around to the positive aspects of life. I suppose some of that comes from being raised by a mother who was certain she—and our entire family—was cursed. I’ve fought my whole life to break out of that syndrome. I hope to make a difference through my writing and life, and even though my mother died in 1998, I think I’m trying to show her life is much better when living on the light and positive side. Trails in the Sand contains elements of that message. I also try to convey the importance of communication. Often times, we don’t express our deepest thoughts to those that matter and it results in all sorts of complications. Expressing our truths to those we love is the best legacy we can leave. I lived in north Florida for thirty years. For several years, I worked as a reporter and covered several small towns on the brink of entering Florida’s out-of-control land grab and development. There are so many characters weirdly real in Florida, and the setting is sometimes magical, sometimes frightening, but most of all interesting. Plus, using the weather as a plot device is one of my favorites. Hurricanes and tropical storms are good for building tension. I’ve developed a new genre—Florida Environmental Novels—and I plan on continuing as long as the ideas come to me. I’m working on my next Florida novel, Native Lands, which delves into the disappearance of a whole tribe of Native Americans after the arrival of the Spanish. The novel goes between the past and the present day as an international conglomerate attempts to turn Florida—from the Everglades to St. Augustine—into one complete living environment. It stresses the concept of connection between people and between ecosystems. It also showcases the traditional thinking of development in Florida, which is to destroy the natural environment to build a fake environment for people to enjoy. Disneyworld is the shining example of this concept in central Florida just north of Lake Okeechobee and the gateway to the Everglades. Also, I’m pulling together a series of my travel essays for Odyssey to Myself, which I hope to publish in the coming months. Are your books traditionally or self-published? Why did you choose one over the other? When I first started out writing novels, I went the traditional route. Small publishers picked up my first three books. I even had an agent for a few years. It sounded so professional and successful to say, “My publisher” or “My agent.” But the reality is different because nothing happens unless the author is willing to get out and sell her books, no matter who publishes it. And the amount of money given over to agents and publishers is far too much based on the amount of work required by the author. I dropped out of this world around 2007 after publishing Tortoise Stew. I probably sold 500 books of my first novel A Victorian Justice after literally pounding the pavement and setting up book signings. It was exhausting work, and I only received a pittance in return. I tried half-heartedly with A Legal Legacy and Tortoise Stew, but I lost enthusiasm for book signings. The toll was far too high for the return. So I kept writing, but I didn’t enter into the query, rejection, query cycle. In 2011, I decided to enter into the new revolution of Indie Authors and eBooks. I reissued A Lethal Legacy and Tortoise Stew. I published the novel I wrote from 2007-2009, Live from the Road, and then this past year Trails in the Sand. I’ve also published two nonfiction books, From Seed to Table and Civil War Journal of a Union Soldier. I’ve sold far more books by sitting in my lovely office as an Indie Author. I love the freedom it offers me, and it fits my personality. It’s not for everyone, but for me, it’s perfect. I work well on my own, set deadlines and keep them, and continue to write. At this point, I can’t imagine going the “traditional” route again. Someday soon, the Indie Author path will become the “traditional” way of publishing. I’m reading Anya’s Story by Julia Gousseva on my Kindle. I’m also reading a book on starting an editing business online, which I’m in the process of doing right now. I have at least fifty books in the queue on my Kindle. I have a shelf lined with books to be read. And I’m reading passages from several books on Florida and its environment. I’m never without a book in hand. I love my Kindle because I can slip it in my purse easily and take it wherever I go, but I still get a thrill from reading hard copy books. 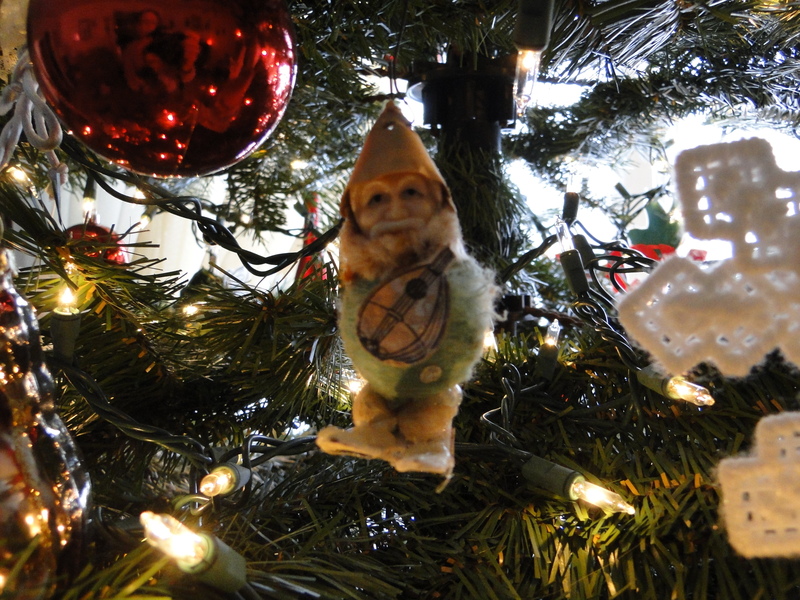 Happy Holidays to you and yours. Remember to think about gifting some Indie Author books that I’ve featured on this site. Most of the books are in eBook or paperback form. There’s some real talent out there and most of us do it because this thing called writing has chosen us, and it won’t let go. Happy reading. Today I welcome Annamaria Bazzi, an author who’s visited me before. Also I’ve been on her blog for her Round Table Chat with authors. 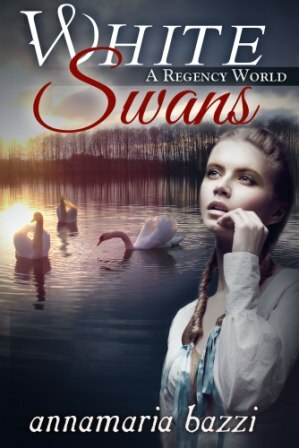 Annamaria is about to release the next book in her White Swans Series. Today I’m pleased to reveal her new cover for the book as well as an interview that she conducted with one of her characters who lives in her mind. I certainly know what that’s like, and I hope you enjoy the conversation on this installment of Author Wednesday. Writing is a lonely road traveled by people whose imaginations scream for release, where stories form, characters are born and the life of the creator changes forever when the words are written down. Almost two years ago, a beautiful face with no name materialized in my head. The young girl sat at a window, sad, staring into the landscape. She existed but never spoke to me, until one day she screamed for me to tell her story. “My name is Kendíka,” she said, in a soft enticing voice. From that moment on, I lived and breathe Kendíka. This is a story whose ending I still don’t really know, but at least book one is completed and ready to be edited. I must say, when Kendíka introduced me to Charles, her guardian, I too fell in love with the man who’s gentle, kind, protective. He had many of the qualities for a good husband. Would he be one? Time will tell. Since the initial short story, which has turned into a novel, Kendíka has come to life. She has her own Facebook page and manages her own website. I must admit, she’s a rambunctious teen and at times gets out of hand with her demands. Still, I can’t blame her for urging me to hurry up and publish White Swans A Regency World. She’s ready to capture a fan base while I’m still struggling to make sure every word brings meaning to the story. Annamaria – What are you doing here? This is my guest post. Kendíka – Maybe so, but I think I can attract more fans than you can, so you should let me out of the bottle. Annamaria – [stares dumbfounded] You just love to steal the show, typical teen behavior-someone who believes the world revolves around her. Kendíka – Oh, but it does! That’s what you adults fail to understand. You’ve had your chances, now the world belongs to me, to the young. We are the future. Annamaria – Yes, it’s just like I say, give that little inch and they’ll yank a yard out from under you. Kendíka – What are you talking about? Annamaria – Never mind. How have you come to help me? Kendíka – I just want to tell folks about my story, my world, and my website. Is that a crime? Annamaria – No, my dear, go ahead. I’m curious to hear what you have to say. Kendíka – The book is still being work on, you know edits and stuff like that to make it a better read. She does work hard, but it seems to me the book is always in a transition state, never done, always being worked on. Annamaria – What do you mean always being worked on? Kendíka – Well, you’ve taken it from being a collection of short stories to a full-length novel, you’ve revised some of the shorts and incorporated them into the novel, so, yeah, you’re always doing something to it. I also think you started advertising and mentioning the book too early in the game and your strategy could backfire on you. Annamaria – You’ve got a point there, but I still hope folks will enjoy the twists and turns in the book that micmicks a world in the Regency Era. Kendíka – What’s up with that? Why couldn’t you keep it in the twentieth-first century? Annamaria – The Regency Era is such a romantic and idolized period and the fashion so different. It’s a period filled with excitement. Kendíka – [rolls her eyes] It’s a very restrictive era for women where men are in control of everything. How can that be romantic? Besides, this book is a fantasy not a romance novel. Annamaria – Before the situation breaks out into one of our arguments, I believe it’s time to thank our host. Kendíka – Thank you so much, Patricia, for hosting Annamaria and me. Patricia – It’s always a pleasure, Kendíka and Annamaria. When you two get together there’s no room for a third voice to speak, except in the pages of the White Swan series. Congratulations on your impending release. I hope you’ll drop by after it’s published. Welcome to Author Wednesday. Today I’m pleased to welcome Leona DeRosa Bodie, author of an Amazon bestseller thriller-suspense novel, Shadow Cay. Leona and I met years ago when she was first drafting Shadow Cay, and I did the first editing of the novel. I’ve followed her success with this novel, and was excited to see that she was working on a historical novel with another Florida writer, G. E. Gardiner. The two collaborated to create Glimpse of Sunlight, which will be released in 2014. I must disclose that I also edited this novel recently. Hello, Leona. I’m so happy you dropped by today to talk about your books and life as a writer. Who has most influenced your writing and why? I write about what I know. Since I’ve lived in Miami for thirty-five years, it’s a natural for me to write about South Florida. The fact my husband has been a forensic expert for twenty-one years and worked on 37,000 cases influenced me as well. It means that I have a ready resource to ensure the police procedurals, the forensic science, and quality assurance aspects are accurate. 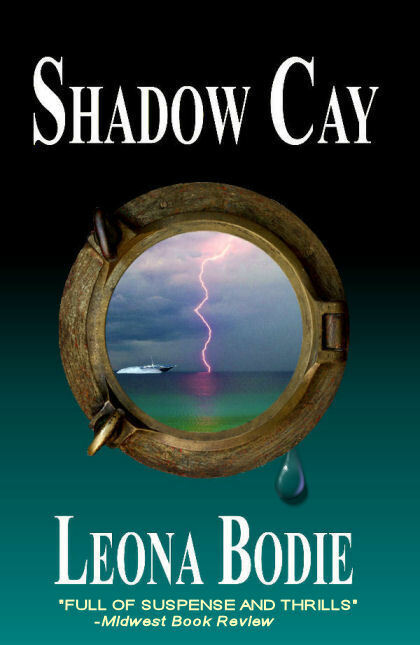 Although the story bounced around in my head for fifteen years, I actually wrote Shadow Cay in three months on a 34-foot Morgan Out Island Sailboat in the Bahamas in the Southern Exumas. Imagine 700 islands, like a string of beautiful gems to treasure. Imagine no interruptions, pristine water, white and pink sand beaches, uninhabited islets, dramatic ocean, and bay views. What a wonderful way to write a book. Now I know why the descriptions in Shadow Cay are so spectacular. Let’s talk about what you’re working on today. I just completed my next two novels: Seas of Fury, a high-octane prequel to Shadow Cay, and Glimpse of Sunlight, a collaboration with author G. E. Gardiner. It’s book No. 1 of a historic suspense trilogy based on Jonathan Dickinson’s life. Both of these books will be published in February 2014. Every book I write regardless of genre is picturesque and fast-paced with lots of action. Our newest trilogy is a perfect example. It has a tropical storm, hurricane, tsunami, landslide, and cannibal Indians, and it’s all true! What role does setting play in the creation of your novels? My settings are always an integral part of my stories. I create word pictures to make the settings as believable and authentic as possible. Do you have a favorite character that you created? Of all my characters, I truly admire Madeleine Nesbitt (Shadow Cay) the most. Her bravery is unique. Although young, sheltered, and naive, she’s stronger than she realizes. Even when her world falls apart, she manages—despite the odds—to pull her life together. She’s one of the strongest female characters I’ve seen in ages. I agree that Madeleine is a strong character. What’s the best thing said about Shadow Cay by reviewers? Every book I write regardless of genre is picturesque and fast-paced with lots of action. Let’s talk about Glimpse of Sunlight. What is the message conveyed in your book? Ever since the Spanish conquered the peaceful Arawaks in the early sixteenth century, Jamaica has endured a painful history tinged with an undercurrent of violence. 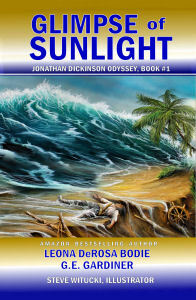 A Glimpse of Sunlight is an epic tale of resistance to tyranny and passion for freedom. This action-adventure trilogy transports you from Africa to Ireland and England to “The Wickedest City in the World” and ultimately shipwrecks you on the Florida shores. It shows how one pacifist and three freedom fighters and the perseverance of the Jamaican people, leave a multi-cultural imprint on the global community that forever captures the power of the human spirit. It was extensive! It took my co-writer Glenn Gardiner and I the better part of year to research everything from locations, culture, food, dress, religion, politics, and historic characters who actually lived and breathed. It’s been my pleasure, Leona. I hope you’ll come back after Glimpse of Sunlight is published next year. My best to you in your next endeavors. About Leona DeRosa Bodie: Leona is a New Jersey native whose family’s seafaring roots inspire her tales. She attended Fairleigh Dickinson University and began a career teaching high school English before relocating to Miami. Eventually, after twenty years in private industry, she decided the novel churning around in her brain for fifteen years really deserved her attention. So she left her job to write full time. 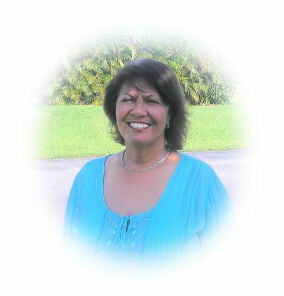 Since her emergence on the thriller-suspense scene in 2010, Leona has been praised for her ability to create action and intrigue in her novels. She’s a past vice president and current Treasure Coast Regional Director for the Florida Writers Association, and the founder of the Palm City Word Weavers. 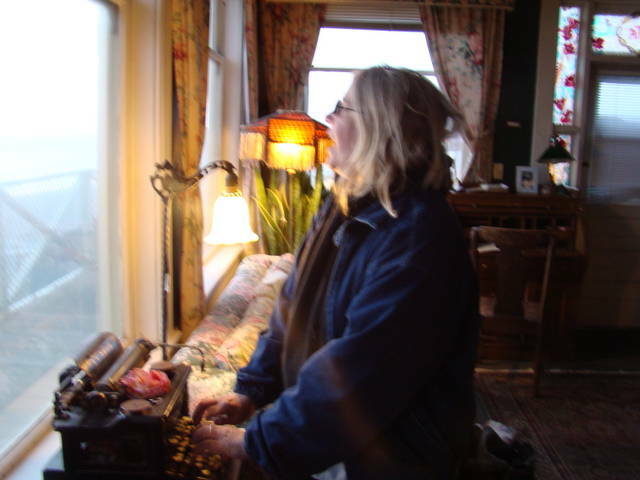 Leona wrote three children’s books before she shifted to the dark world of suspense and sea adventure fiction. There’s no doubt being married to a forensic specialist influenced her. When not writing crime fiction, she spends time in the kitchen. Leona also enjoys her family and boating. Here I am with four books published on Kindle and in paperback through Createspace. I started this journey of Indie Author with the publication of Live from the Road in May 2012. It’s been sixteen months, and I’ve learned and suffered and fretted. I’ve also enjoyed being in control of my work. I still don’t have a formula for success, but I keep plodding along. At the prodding of another fellow author and blogger, I decided it was time to check the figures on my books. All four books are enrolled in Amazon’s KDP Select program, which means every ninety days I’m given five days to offer one of the books for free. I decide what days and can split them up into different free days. The point of giving away the book is to get it into the hands of as many folks as possible, hoping for reviews and residual sales after the free event. The number of reviews on Amazon affects the sales or so the experts say. Also, with KDP Select, readers can “borrow” the book on their Kindle. Authors receive a percent of the KOLL fund for these borrowed books. The amount varies month to month. For instance, in June, five of my books were borrowed, and I received a payment of $11.19, in addition to my royalty for sold books. I do know sales have dropped since last summer. 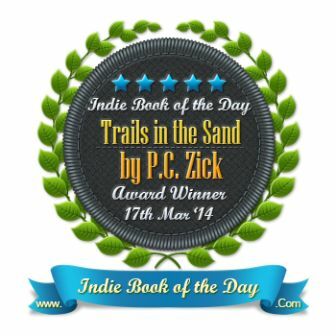 I’m disappointed in my sales record for Trails in the Sand, my latest release. I’m pleasantly surprised with the success of Live from the Road, a book I published simply to test the Indie Author waters. Embarking on the Indie route requires an outlay of money for editing services (an absolute must) and cover design (another must unless you’re a trained graphic designer). Fortunately, I have a background in formatting so I did my own work there, but some folks may have to pay for that service as well. I’ve kept my advertising budget low. The biggest expenditure I made was for a book tour ($120, plus a giveaway valued at $50) for Trails in the Sand, and it was a bust as far as sales. I might have picked up a few blog followers as a result, but there was no residual effect for book sales. Next time, I’ll organize the tour myself and find blogs better suited for my platform. I’ve paid $5 and $10 here and there for advertising my free days, and I believe that works well. One time I paid out $80 for advertising after the free days on the advice of one of the biggest Indie Author support groups, and I didn’t see any benefit in networking or sales. For my one nonfiction book on Kindle, From Seed to Table, I didn’t pay for editing, but I did have proofreaders on the project. I paid for a cover, and I haven’t converted it to paperback, and probably won’t because it contains so many images. I’m still in the hole for three of the books, but Live from the Road has paid for itself and covered the cost of some of the other books as well. I’m getting reviews for all of the books, except Tortoise Stew (one did come in last week after the free days, so hopefully reviews will increase). In the beginning, I chased down reviewers for Live, but then became disillusioned with giving away books and never seeing a review in return. I’m up to forty-one reviews for that book – they keep coming in steadily even sixteen months after the book’s publication. So far, Trails in the Sand has garnered eighteen reviews. I hope the free days from this month will result in more. I do know having the books available for sale is better than having them languish in a file cabinet. I’m constantly trying new things, but I don’t have any magical formula for you. Right now, writing and selling books is my job. It’s a great luxury to have this time, but it’s not supporting anything quite yet. I remain optimistic as I keep writing. It’s the best advice I can give anyone. When I get a bad or good review, I get back to writing. When I do get discouraged, I write. Usually by the end of the day, the cloud dissipates, and I’m back on the keyboard hacking happily away. I’m definitely a writer in my heart, body, mind, and soul; therefore, I write. I’d love to hear about your experiences or answer any questions you might have. It’s a whole new world out there for authors, and I’m content for now to be exploring the Indie Author gig.